University Theatre is putting on the first-ever English translation of a 1789 Spanish Enlightenment comedy that looks at Latino culture and racial classification in the New World. 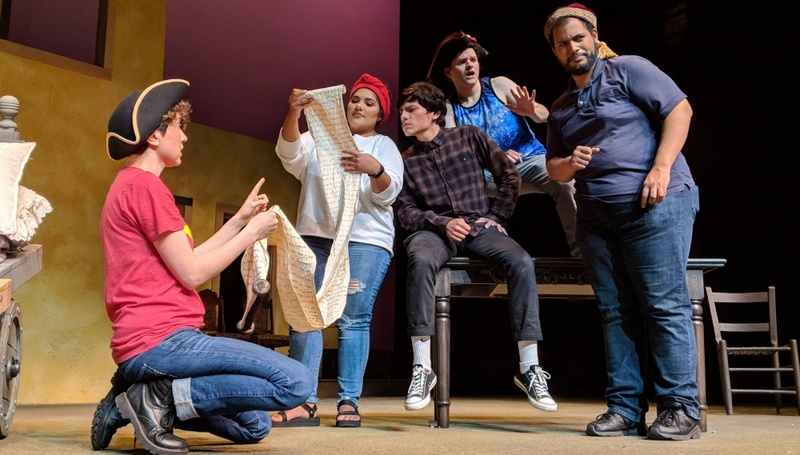 The play, “Tricks to Inherit: A Nephew and his Uncle,” originally was written by Fermín de Reygadas in Mexico City and was recently unearthed by UO Latin American studies director Pedro García-Caro. Shortly after its transcription, director and UO doctoral candidate Olga Sanchez Saltveit translated the play into English and added a modern flair to illuminate the play’s complex themes. Students and community members will be able to see Sanchez Saltveit’s adaptation, “Tricks to Inherit,” at Robinson Theater May 25-26, June 1-3 and June 8-9. UO students are admitted free by claiming tickets at the box office one hour before the show. Sanchez Saltveit introduces a modern flare by setting her play in 1796 in Alta California, a region that included much of what is now the American Southwest, at the first-ever showing of Fermín de Reygadas’ play. The approach means almost every actor is playing two roles to create a play-within-a-play format. Originally, Sanchez Saltveit was only planning on translating and directing Reygadas’ play; however, the adaptation was done to frame where the play is taking place as well as the systemic imbalances at work in the 1700s. Nearly one year after Reygadas’ play was written it was banned by the viceregal censor due to its obscene language and social commentary. Sanchez Saltveit hopes to bring that social commentary to life in her adaptation. The play’s cast is composed entirely of student actors, except for a special guest appearance from a UO faculty member’s 10-year-old daughter. “They’re all great, funny, talented and spectacular people. Excellent acting,” Sanchez Saltveit said. At intermission of most performances, a live band will take the stage. The Taller de Son Jarocho is a local Eugene art collective that celebrates the culture and tradition of Mexico through music and art. The band has also recorded songs that will be featured as background music throughout the play. Sanchez Saltveit hopes the entertaining and light-hearted nature of the show will help viewers understand the unfair racial dynamics of the past. To learn more about the play or for ticket information, visit the Tricks to Inherit website.